It was literally history in the making at the 48th annual Eclipse Awards at Gulfstream Park on Thursday night. For the first time, brothers claimed the honor as North America’s Outstanding Jockey in successive years and the first horseman to both ride an Eclipse Award-winning steeplechase horse and train a Steeplechase Horse of the Year was honored. Chad Brown, who conditioned two equine honorees, also earned some hardware for himself — for Outstanding Trainer — and the two-time Breeders’ Cup Sprint winner earned a second Eclipse. The evening also included arguably the sport’s greatest photographer being recognized with a sixth Eclipse Award and one of the sport’s most respected names in the game receiving the Eclipse Award of Merit. 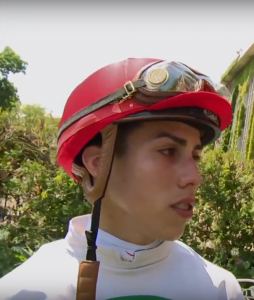 Irad Ortiz Jr. took home the Eclipse as North America’s Outstanding Jockey after his younger brother, Jose, won the award last year, making the siblings the first two brothers to achieve the honor. And like his brother did the previous year, Irad dedicated the award to his younger sibling. Jose said he never envisioned him or his brother achieving as much success as they have. The two brothers possess an incredibly strong bond and have played a significant role in each other’s lives, personally and professionally. Irad won 346 races and over $27 million in purses in 2018. His mounts included Grade 1 winners Diversify (Whitney Stakes champion), Newspaperofrecord (winner of the Breeders’ Cup Juvenile Fillies) and Robert Bruce (winner of the Arlington Million). John Gunther was honored as North America’s Outstanding Breeder. His operation in Versailles, Kentucky, was responsible for thoroughbred racing’s 13th Triple Crown winner Justify. Gunther acknowledged the impact and role played by a family member, an integral part of his team, and how she was a critical component in the breeding operation’s success. But it was the NTRA Moment of the Year that resonated most powerfully with Gunther. Conrad Farm’s Shamrock Rose earned plaudits in the Female Sprint Championship category. The bay daughter of First Dude’s 10 ¼-length victory in the Malvern Rose, her impressive score in the Raven Run Stakes (G2) and then her winning performance — by a head over Chalon — in the Breeders’ Cup Filly & Mare Sprint (G1) validated her place among the year end champions. Canadian Horse Racing Hall of Fame inductee, 11-time leading conditioner at Woodbine and 10-time Sovereign Award-winning trainer Mark Casse conditions Shamrock Rose. 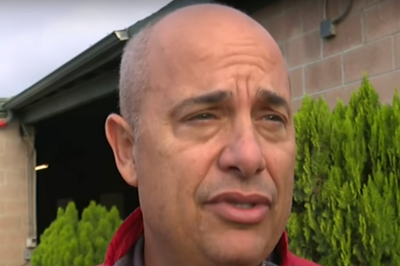 “The Conrads are small owners, they have five or six race horses every year, and for them to be able to have an Eclipse Award winner…they’re wonderful people,” said Casse. Shamrock Rose is the fifth Eclipse Award-winner trained by Casse, joining Classic Empire, Tepin (twice) and World Approval. Casse’s impressive resume and outstanding horsemanship has allowed him to train for many of the sport’s most renowned and respected names, including John Oxley, Gary Barber, the Conrads and Charlotte Weber. Two men played a pivotal role in Casse’s career, his father Norm Casse and Mockingbird Farm’s Harry T. Mangurian. And behind every successful man, is a strong woman and the horseman acknowledges the role his wife Tina has played in his success.